A long time client of ours has a few key outdoor pieces she’s selling to get you ready for summer hangs. An amazing outdoor sectional sofa by Gloster. This sofa is still available at Gloster for $15,000! The cushions need to be replaced and we specked it out at $2500 with Sunbrella fabric. She’s asking $1500 for the sofa but needs it gone within the week and will accept any reasonable offer!! I wish I had the space for this set, it is so groovy. 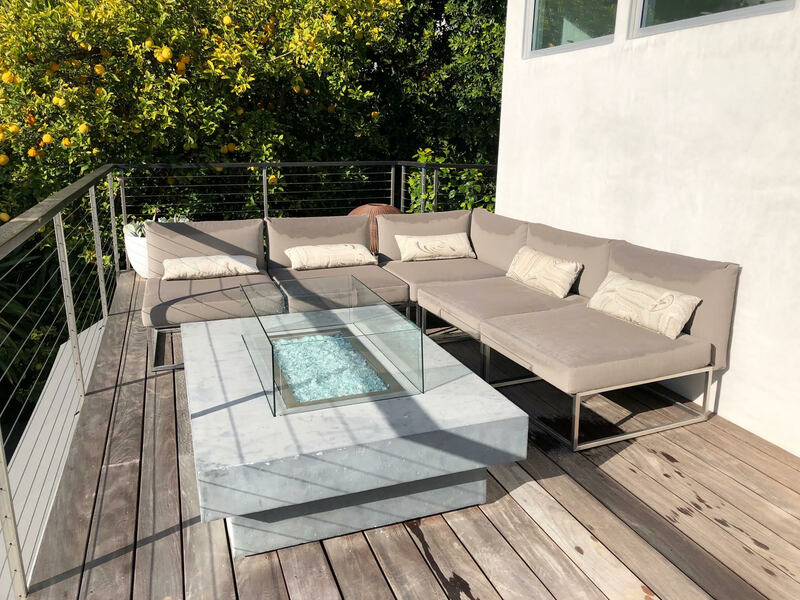 Also available are various Restoration Hardware planters and a Restoration Hardware fire pit. Message me for details on these or to make an appointment in West Hollywood to see it all.